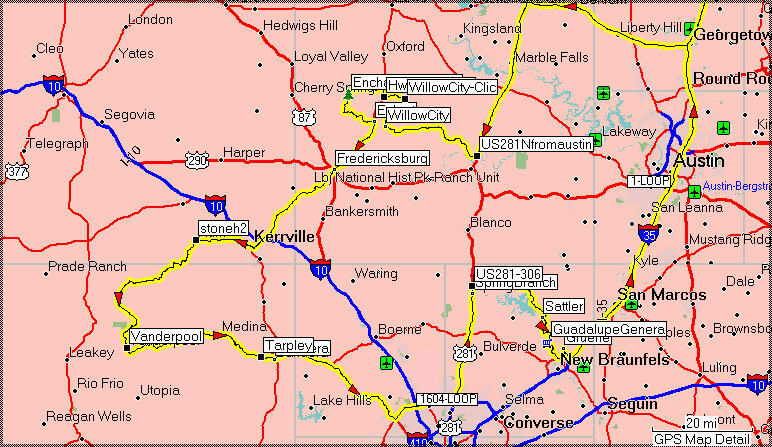 The following maps were generated from Garmin "MapSource" version 6 and were used on a model 2610 Garmin GPS unit. Click any image to enlarge. Greune Texas Ride ("river road" not shown) From just outside Gruene, get on river road (ask for start location while downtown) and head north along river. Next exit is about 20 miles upstream at Sattler so make sure you got at least a gallon of gas. 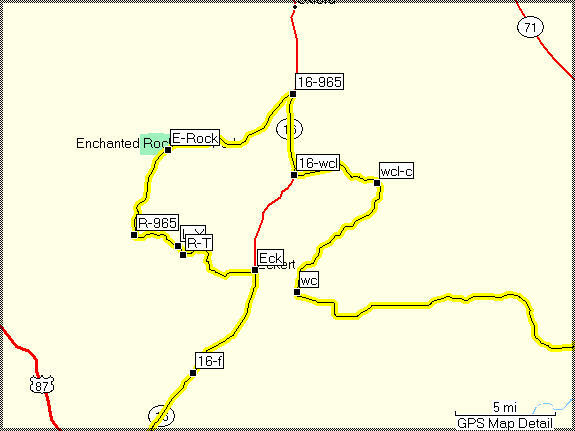 Willow City Ride Map - Enchanted Rock: This is a really good ride, be careful not to get lost if you try to take in enchanted rock as shown in the map. There are a number of turns thru "cattle guarded" roads. Hill country loop around (easily two day trip). takes in all of hill country area for a Dallas rider. 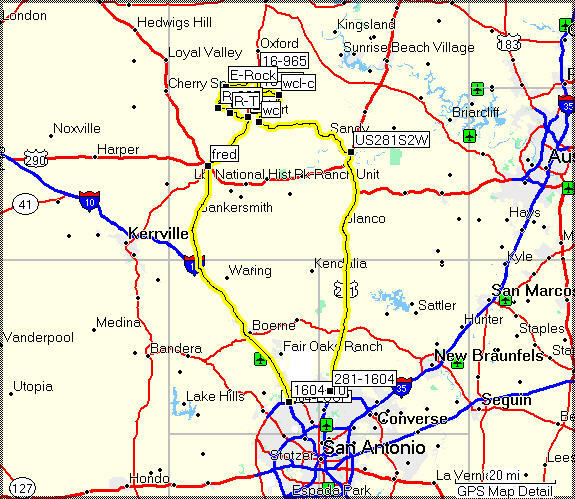 The part that goes though loop 1604 should be changed to include that road that passes thru Boerne. Be sure to stop at Stonehenge II for photos and Tarpley for burgers at Steel Horse Cafe. 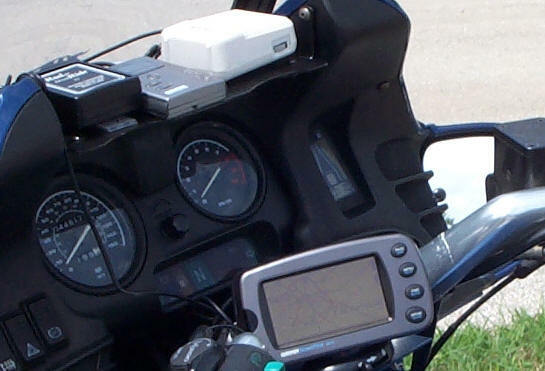 If you are interested in texas motorcycling, you might want to subscribe to the unmoderated group news:tx.motorcycles If your ISP provides UseNet services (most do) then you can easily join using Microsoft Outlook Express. You can also use google to access usenet if your provider does not carry tx.moto A moderated site is Two Wheeled Texans . Google does not use outlook express, click here to "join"
Be aware that people on tx.motorcycles may not hold the same opinions or even moral values that you do. You might want to lurk around before posting so you know who not to antagonize. Click here for some tips and look for "tx.moto"